Humans like to build city-like buildings that reach for the sky, and why not they also build complex cities that lurk beneath the earth’s surface. Underground cities are fascinating creations that reveal the secrets of life above the ground. Let us check out the 5 top underground cities where people have actually lived for several years. 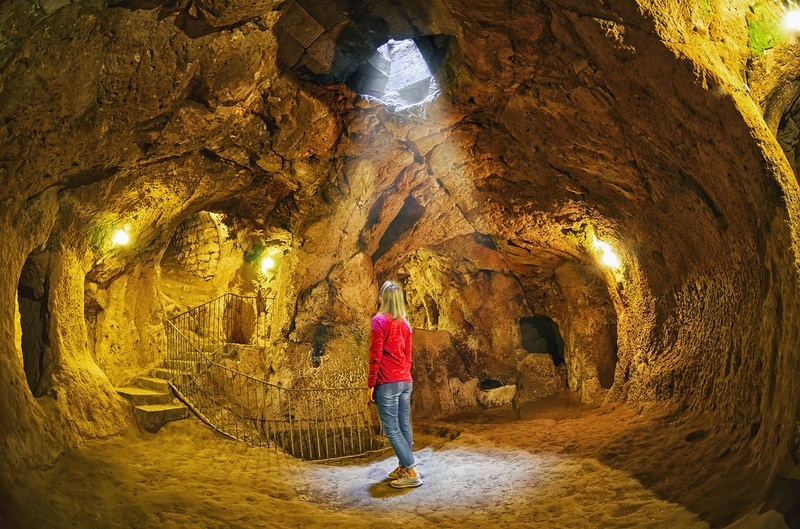 Located in central Turkey, the region of Cappadocia is home to 36 surprising underground cities, among which Derinkuyu is the deepest underground city. It is made up of seven levels below the earth’s surface that was able to accommodate 20,000 people, livestock and food. This maze-like city was built during the Byzantine era to protect people from attacks. This multi-level city was created by carving into volcanic rocks. This underground city had everything from ventilation shafts, kitchens, oil presses, bathhouse, to primitive wineries, for civilization. Air travel is the fastest way to reach Cappadocia. Kayseri Erkilet Airport (ASR) and Nevşehir Kapadokya Airport (NAV) are the nearest airports to reach Cappadocia. Turkish Airlines is the main airline that operates regular flights from Istanbul Atatürk Airport (IST) to Kayseri Erkilet Airport and Nevşehir Kapadokya Airport. A lot of communities around the world live in the caves; particularly in hot climates. 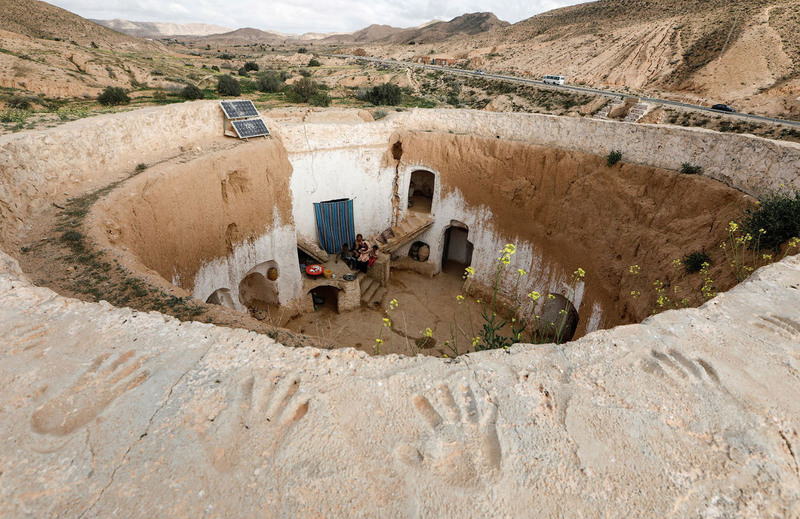 The Berbers of Matmata is one such village where the resident live in caves to escape the heat. This is a small village made up of “troglodyte” or “cave-dweller” structures. These structures were built by digging a big pit in the ground. The sides of the pit artificial caves are dug to be used as rooms and some of the rooms are connected by passageways. The open pit can be used as a courtyard. Gabès – Matmata International Airport is the main airport to reach Matmata. The airport is located in Gabès. From Gabès you can reach Matmata by louage, shared taxi. Tucked away in southern Jordan, Petra is an ancient caravan city which was once home to 40,000 people about 2,000 years ago. It is one of the world’s most famous archaeological sites, that blends Eastern traditions and Hellenistic architecture. It is half-built and half carved into the sandstone surrounded by gorges and passages. Al-Khazneh is one of the most fascinating carvings that feature beautiful façade that reaches up to 130 feet. 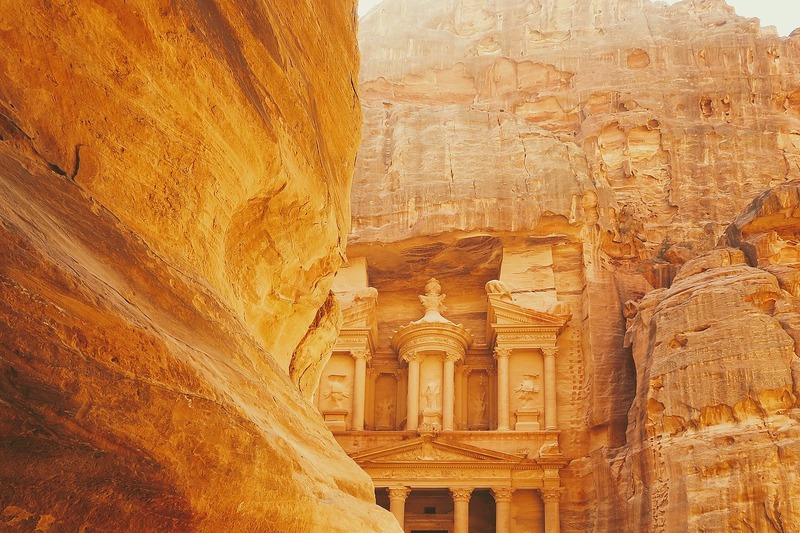 Located in between the rugged desert canyons and mountains, Petra was once a trading hub between 400 BC and AD 106. The ancient Petra city was featured in the famous movies like the Mummy Returns, Queen of the Desert, Transformers, many more. Aqaba Airport or King Hussein International Airport is the nearest to reach the city of Petra. Aqaba Airport is located northern suburb of Aqaba. Choosing a private taxi is the quickest way to reach Petra. It takes approximately 2 hours from the airport to Petra. Located in southern Italian city of Matera, Sassi di Matera is an area of prehistoric cave dwellings. Sassi di Matera is translated into stones of Matera. It is one of the ancient settlements of Italy that dates back to 10,000 BCE. 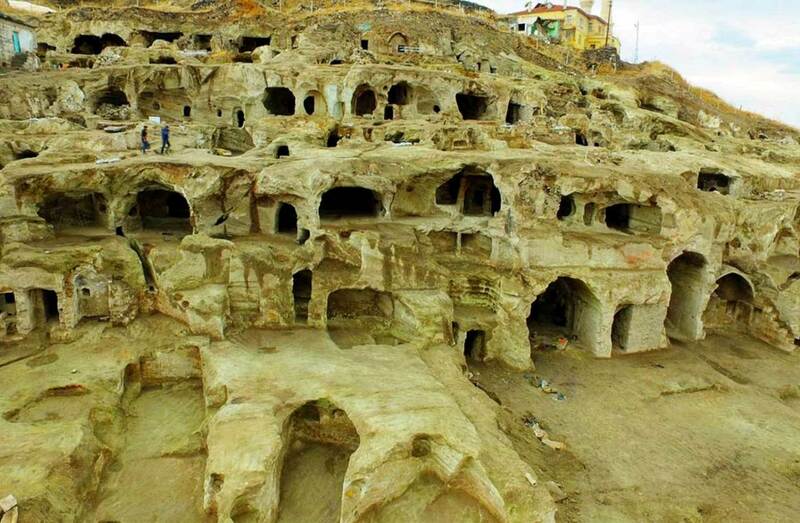 These houses were created by carving into the calcareous rock. The surprising thing about these caves is people still living in the 20th century with no amenities and little access to the sunlight. Due to low levels of sun and high density of disease, the cave-dwellers were struggled and later they were moved into modern housing. In recent years, these cave houses have become popular and witnessing spike in tourism. Also, this UNESCO World Heritage Site was featured on movies like Passion of Christ, Wonder Woman, etc. 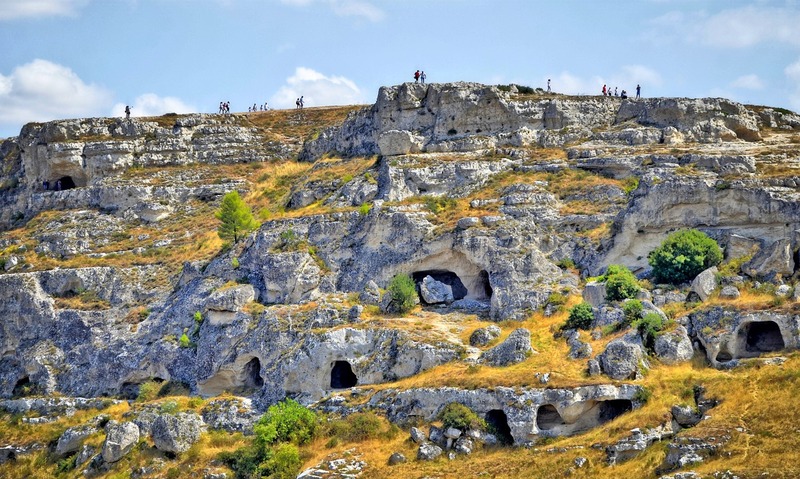 A must-do: Staying in one of the cave hotels in Matera is a unique experience. Get your stay in advance while you are booking your flights to Italy. You can reach Mater by bus from its neighboring towns like Basilicata and Puglia. Also, you can find a few number of buses from the major Italian cities such as Bari, Rome, Ancona, Taranto, Florence, and Milan. 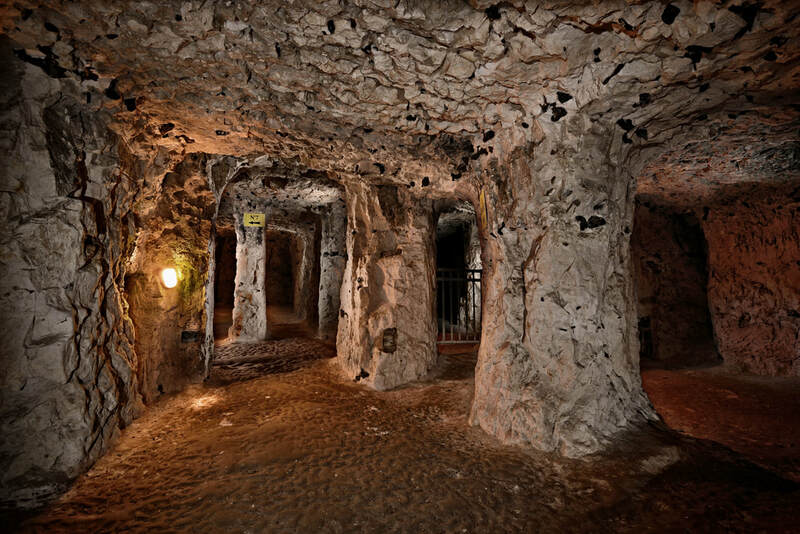 The immense underground city of Naours was used as shelter during times of invasion. This underground city contains about 300 rooms and a half mile long cave. The underground site was built third century CE as part of quarries. Locals began it using as a hiding place during wars, so it was later expanded into a village under the surface. Naours had a capacity of 3,000 residents to accommodate, also provided facilities like chapel, wells, bakeries, etc. This village was sealed for years before being reopened as a tourist attraction in 19th century. Visitors can see a collection of graffiti left behind by Allied soldiers. There are no direct flights to this amazing hidden city in France. 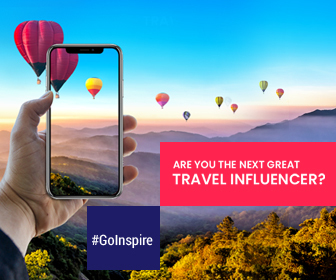 However, there are taxis and other public transports that connect the major international airports of France to Naours.